Who loves popcorn? I am sure if you were all in the room with me I would see a sea of hands. I think that there are very few people that do not enjoy this treat that is if you think about it very versatile as it can be found in a range of sweet and savoury flavours. Recently a company called Thomas Tucker got in touch and sent me some of their popcorn to review. I must admit I hadn’t really known much about this company before now which really is a shame as they are a UK based company and I do love to promote UK based products where possible. Their popcorn is apparently so good that they are the supplier of choice for the British cinema industry, they also supply their goods to a string of high-profile businesses across the retail, leisure and hospitality industries, and, since their acquisition of RJ Foods in 2015, offer a growing portfolio of baked goods too. I was pleased to discover that their popcorn does not contain artificial colours or flavours and is wheat, GM and gluten free so we were off to a good start before they had even sent the product. Mr Squishy a foodie himself clearly sensed the presence of food hidden within the box and tried his hardest to break into the box and begin consuming it’s contents but fortunately to no avail as it had been sealed well thankfully. 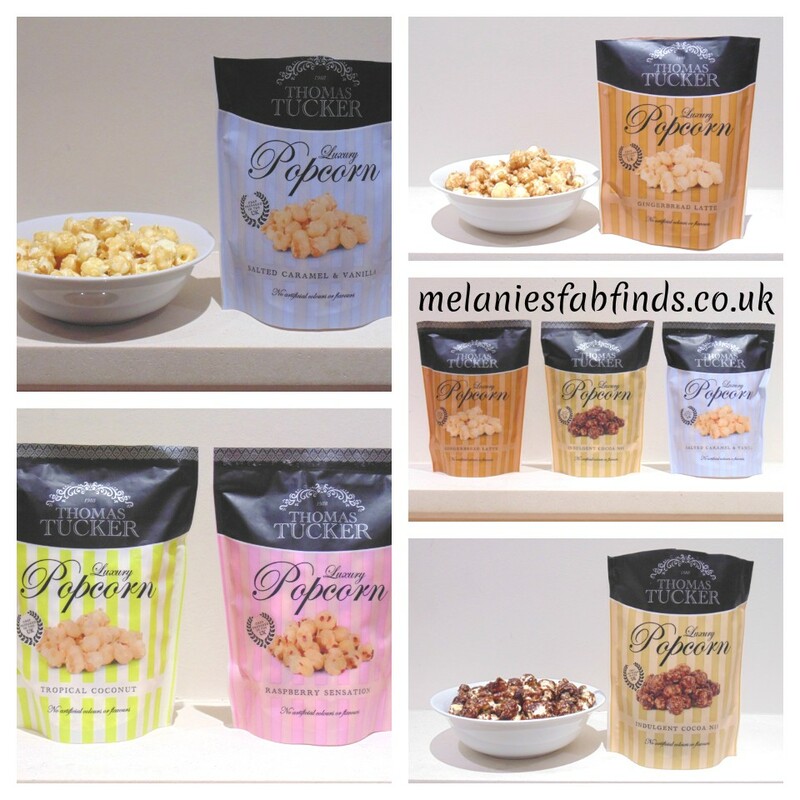 Tommy Tucker have a range of popcorn available and they sent me some of their gourmet range to taste. Of course I was besides myself with excitement, who wouldn’t be! So the big question, was it any good? For the lovers of sweet and salty combined of whom I know there are many this is the flavour for you. With the perfect mix of sweet and salt and is my favourite out of the selection I tried. I can safely say it’s yummy! Unusual for a popcorn flavour but interestingly this actually does seem to work. There is a lovely sweetness from the toffee coat with a tangyness from the raspberry. This sure is a unique flavour, I wish it could be counted as one of my five a day. This has a lovely toffee and cocoa nib coating that really did go down well, my hubby, daughters and little man polished this off but I did manage to try a few pieces first. Perfect for chocolate lovers which we have no shortage of here. Would you believe I have never had an actual gingerbread latte before? I know for a foodie that really is awful but I hope to rectify that this winter. This is lovely it tastes like a crunchy gingerbread and is super tasty. It’s also my favourite (ok, so I have two but it’s really hard to decided between them!). The recipe creators at Tommy Tucker have clearly done a superb job and are clearly simply fabulous at what they do. Dare I say the test is in the tasting and I’ve tasted and thoroughly enjoyed it. A suggestion for the company although probably unnecessary would be to make the packs resealable. I know that this suggestion might sound ludicrous to some but I have a couple of friends who like to spread the enjoyment of such a product over a period of time, I know crazy right! just buy more packs lol. Anyway, for their sake I would suggest the resealable pouch. Not such an issue at mine as I live with what seems like a swarm of locusts and this sort of thing doesn’t last long at all in fact it generally becomes every one for themselves and you wouldn’t believe how well Mr Squishy does with the treat food scrambles (he is shockingly strong for a 2 year old). Now for those that are unaware I am from Greek origins and as a result we of course love to eat food but we tend to love to share food too. Don’t worry I am not sending anyone any half eaten packs of popcorn, those are mine! 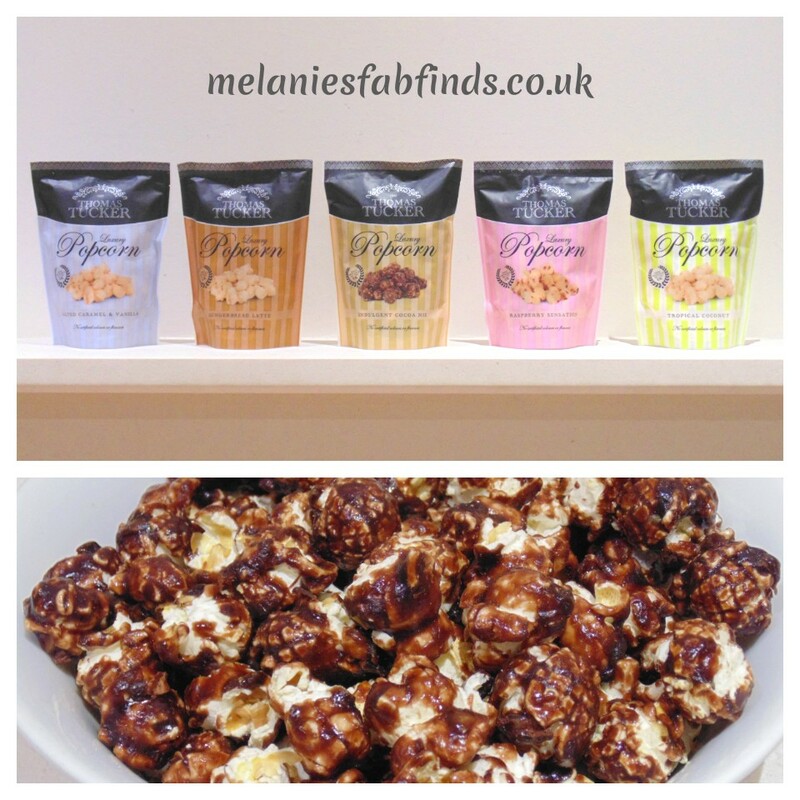 But what I am doing is giving away one box of the NEW flavours as featured above of Tommy Tucker Gourmet popcorn. OK, so you all know the drill but for those that don’t and are recent discoverers of my fabulous blog (even if I do say so myself) entry is super simple – trust me if I can do it so can you. With odds far better than the lottery and gorgeous Gourmet popcorn up for grabs you’d b crazy not to enter. I love gourmet popcorn, chocolate coated is simply amazing!! It really is pretty good. Never heard of this brand of popcorn, but sounds worth trying! I was extremely excited about it they are great! Indulgent Cocoa Nib ~ yum. The salted caramel and vanilla popcorn sounds amazing! The raspberry sensation popcorn sounds nice, I do love popcorn.